We now stock a versatile range of fabric exhibition display solutions that are perfect for small to medium sized businesses. Work with our studios and designers to create a complete exhibition kit that is perfect for selling your business at trade shows, exhibitions, events and conferences. And because our display materials are all fabric over aluminium, they’re easy to transport - light, compact and easy to assemble. Many don’t need a screwdriver or special tools. Download our complete fabric guide below. We have a broad range of exhibition walls, available in various widths and up to a height of 2.4 metres. 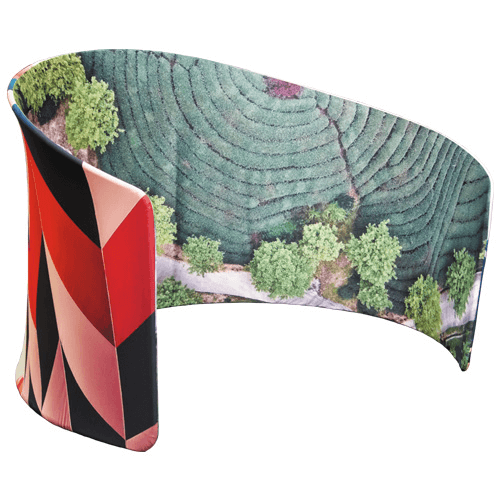 Let one of designers create your imagery, then we’ll print the stretch fabric cover and despatch it with the aluminium frame. Simply stretch the fabric over the frame and create an amazing graphic wall. And when you’re finished, place the fabric on a cold wash and it’s ready to use again. 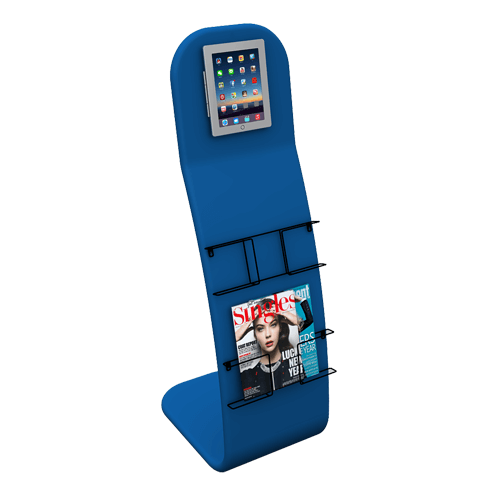 Taking up less space than an exhibition wall, these display stands ensure you stand out from your competitors. We sell both static, fixed stands as well as roll-up bannerstands. Talk to your local studio about the broad range of shapes and dimensions we offer, including the ability to add TVs and tablets into the display. Need a display table or bar leaner? Choose a printed fabric table or print a simple table cloth and make a much bigger impact at your next event. 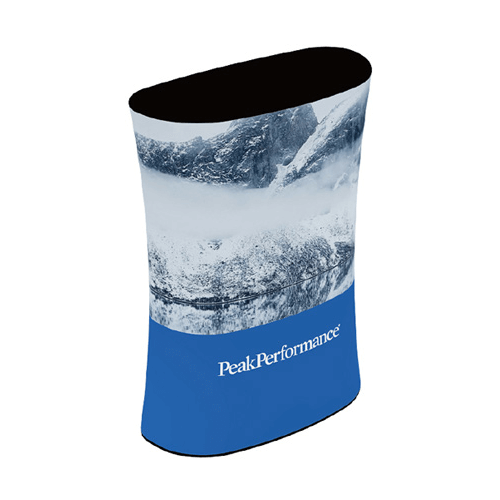 Used inside or outside, a promotional flag helps draw attention to your business, helping new customers find your store or your stand at a busy event. We have a complete range of affordable flags in various shapes and sizes, plus various options for fixing them to the floor or even to your car!